If you are a fan of pain d’epices, the classic French sweet bread made with honey and spice, then here’s a version that will make your head spin. Part of the appeal of the pain d’epices loaf is that it is designed to improve with age. However, once you’ve had a bite of one, it’s unlikely that will ever happen. 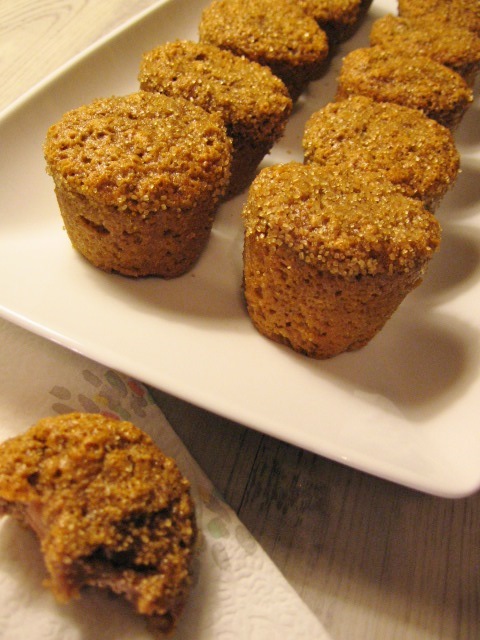 These smaller, personal sized cakes receive their distinct identity from an enticing blend of spices featuring aniseed and compounded with rye flour. The healthy dose of honey adds enough richness and moisture to make it hard to believe they contain not a whit of butter or oil. This particular Spanish twist comes by way of David Lebovitz and his great blog of the same name. The cakes are one of a fascinating collection from Chef Daniel Olivella in his new cookbook, Catalan Food: Culture and Flavors from the Mediterranean. 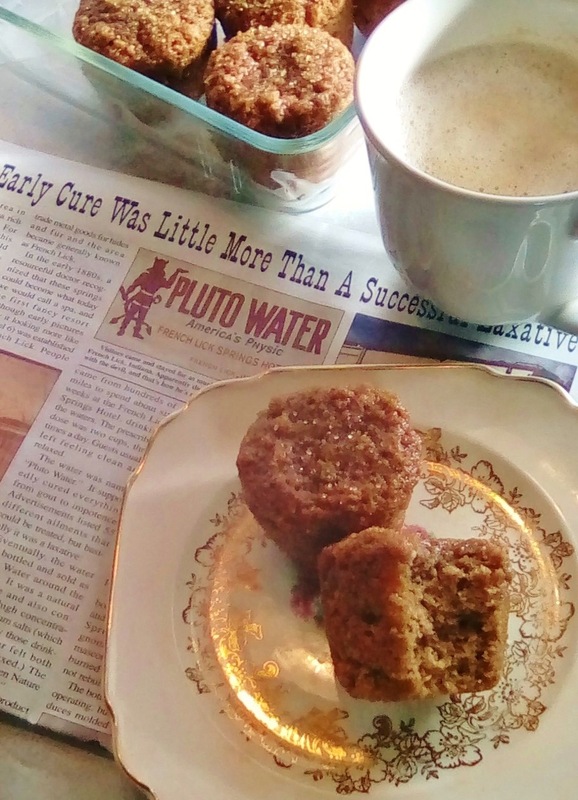 Olivella, born in Spain, shares his grandmother’s thrifty sweet cakes originally made with stale bread saturated in red wine. Daniel now lives in Austin, Texas where he operates Barlata Tapas Bar. Rather than red wine syrup, David chose to roll his variation in sugar and then dip the tops in a cider syrup. I passed on all that, since mine were plenty moist and sweet from the honey. 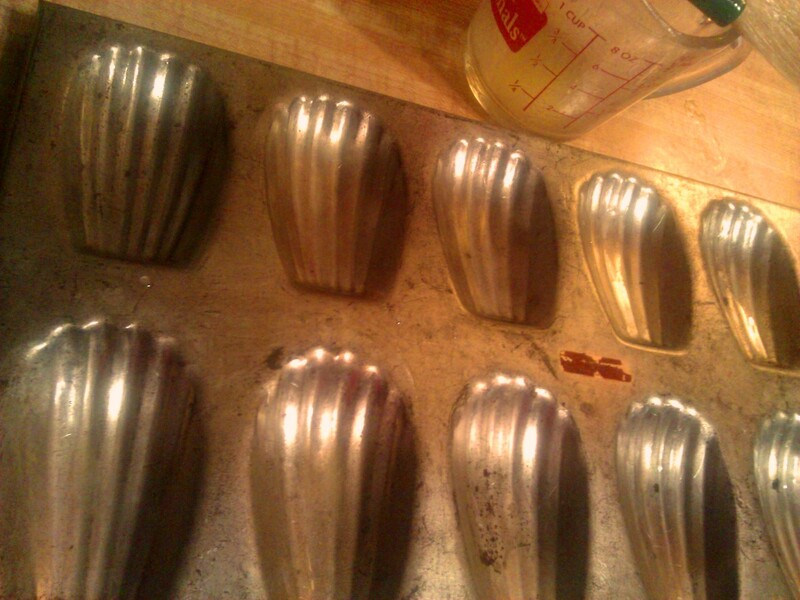 I also used smaller silicone molds, which hold about ¼ cup when filled, and less than a standard muffin cup. For a final touch of sparkle, I lightly dipped the baby cake tops in turbinado sugar crystals—and called it good! Inspired by David Lebovitz’s adaptation of Daniel Olivella’s version in Catalan Food: Culture and Flavors from the Mediterranean. To make the cakes, preheat the oven to 350ºF. Use small silicone cups or line a muffin tin with 12 cupcake liners. In a small bowl, whisk together the honey and brown sugar. If your honey is super thick, you may wish to warm it slightly before mixing. Sift together the all-purpose and rye flour with the baking powder, cinnamon, aniseed, nutmeg or ginger, and cloves, into a large bowl. Make a well in the center of the dry ingredients and add the milk and eggs, stirring until partially combined. Add the honey mixture and stir until everything is well-combined. Divide the batter into the cups; each should be about two-thirds full. Bake until the cakes are barely set in the center and the tops are lightly browned 25-30 minutes. Let cool completely. Prepare the optional syrup while the cakes are cooking and cooling: bring the cider and 1/2 cup granulated sugar to a boil in a small saucepan or skillet, stirring until the sugar is dissolved. Remove from heat and let cool to room temperature. 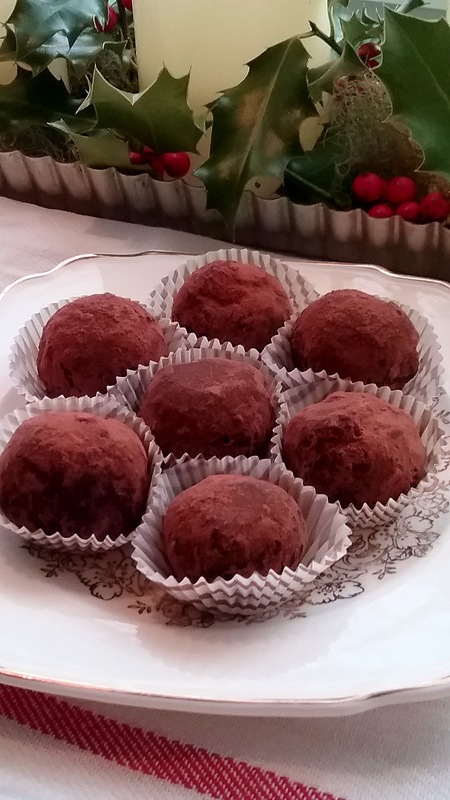 To finish: put the remaining 1/4 cup sugar in a small bowl. 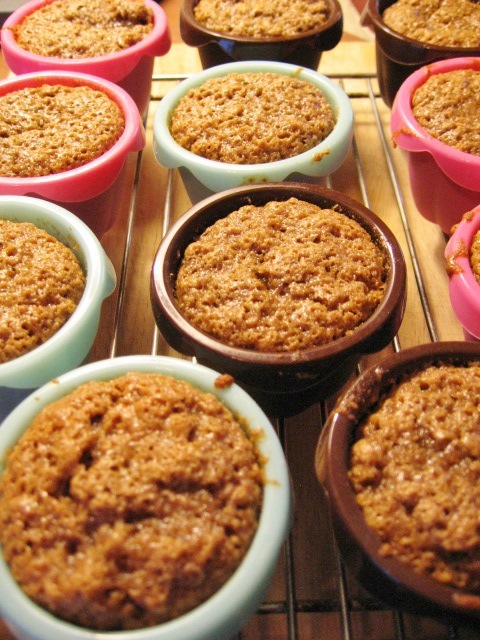 Remove the cakes from the muffin cups and roll each in the sugar, coating the sides. Dip the tops of each cake in the syrup after you roll each one, and set them on a serving plate. Alternatively, simply dip the tops in turbinado sugar. To serve: Chef Olivella suggests serving with remaining syrup and a bit of crème fraiche, but as a snacking cake they are good on their own. Store in airtight container at room temperature 4-5 days. Yield: about 12 cakes.